The JRE can be used as a standalone component to simply run Java programs, but it’s also part of the JDK. The JDK requires a JRE because running Java programs is part of developing them. In addition to the JRE, which is the environment used to run Java applications, every JDK contains a Java compiler. The compiler is the software program capable of taking raw .java files–which are plain text–and rendering them into executable .class files. We’ll see the compiler in action soon. First, I’ll show you how to download and setup a JDK in your development environment. Getting Java setup in your development environment is as easy as downloading a JDK and adding it to your classpath. When you download your JDK, you will need to select the version of Java you want to use. Java 8 is the version most commonly in use, but as of this writing Java 10 is the newest release. Java maintains backward compatibility, so we’ll just download the latest release. It’s also not hard to switch to a different JDK in the future if you find you need to. Don’t worry too much about choosing the correct Java version and JDK package when you are just starting out. We’ll stick with Java SE for this tutorial, so that we can focus on the core JDK classes and technologies. 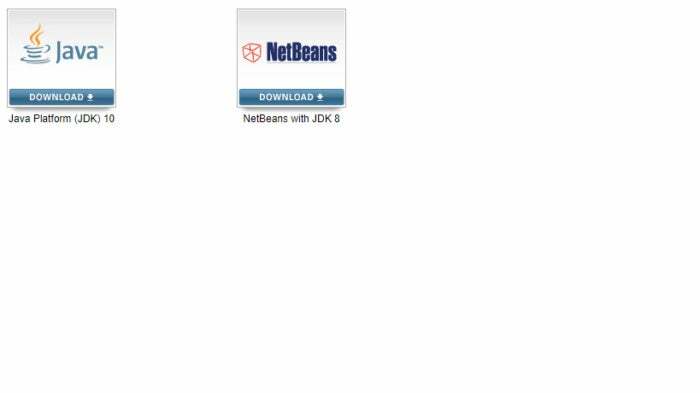 To download the Java SE JDK, visit Oracle’s official download page. You’ll see the various JDK packages available, as shown in Figure 2. Before you select the Java SE download, take a minute to look at the other options. There’s a lot cooking in the Java kitchen! Installing the “Development Tools” option gives you the JDK proper. Installing “Source Code” contains the sources for the public classes in the core Java API. Including this option allows you to reference the source code when building apps. The third option, “Public JRE,” drives home that the JDK and JRE are separate entities: the public JRE can be used by other programs to execute Java programs, and can be installed separately from the JDK. Go ahead and install all three components and accept the defaults for each one. Doing this means your JDK and JRE will be installed in the default locations for your operating system. On Windows, that’s C:\Program Files\Java, as seen in Figure 4. 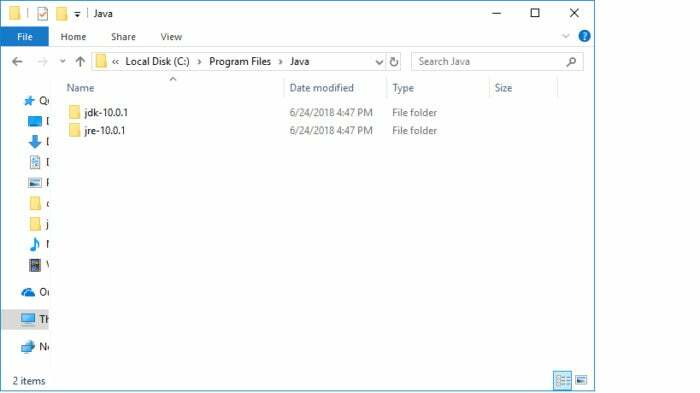 It’s good to have java installed, but what about javac? You’ll need this JDK element to compile your Java files. The javac command lives inside the /jdk directory, but is not automatically added to the system path during installation. We have the option to install javac ourselves, or we could install an IDE that includes this command. We’ll start by compiling and running a Java program the old-fashioned way. You’ll use the javac command, which stands for Java compiler. Type the full path to the command into your command shell, and pass the Intro.java file as a command. On my system, that looks like Listing 2. You can run it by typing: java Intro, which will result in Listing 3. Note that you don’t include the .class when typing this command. Let’s convert Intro.class to a jar file. The -cp switch tells Java to add the jar to the classpath. A .jar file is overkill for this tiny program, but they’re indispensable as programs grow in size and rely on third-party packages. In Java development, one of the key things the IDE does is manage compilation for you. That is, the IDE automatically runs the compile process in the background so you don’t have to continually do it yourself. An IDE also provides play-by-play feedback as you go, catching coding errors on the fly. Several solid IDEs exist for Java. 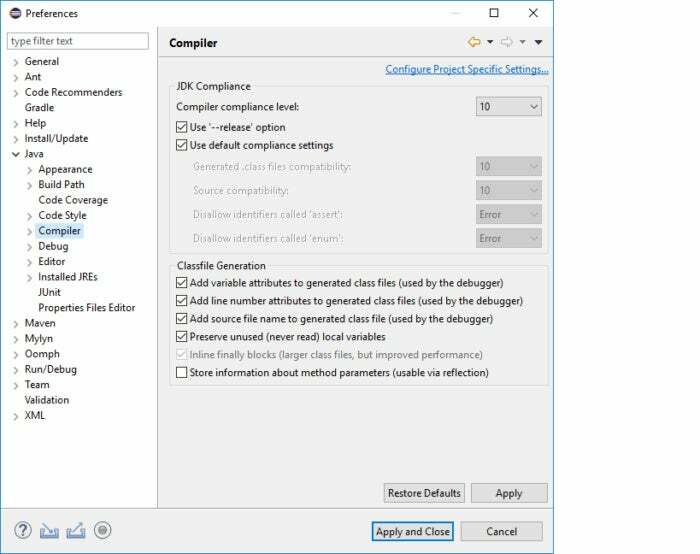 You’ve seen how the JDK works on the command-line, so now Let’s take a quick look at how it works in the Eclipse IDE. Installing Eclipse is outside the scope of this guide, but it’s a simple process. Eclipse includes an installer like any other program, and you can find the right installer for your operating system here. Inside the preferences window, you’ll see the Java item. Open it, and inside you’ll see the Compiler item. Clicking that will reveal some options for the JDK. This article is the second in a short series introducing three core Java platform components: the JVM, JDK, and JRE. Look for the next article in the series, where you’ll learn all about the Java Runtime Environment.